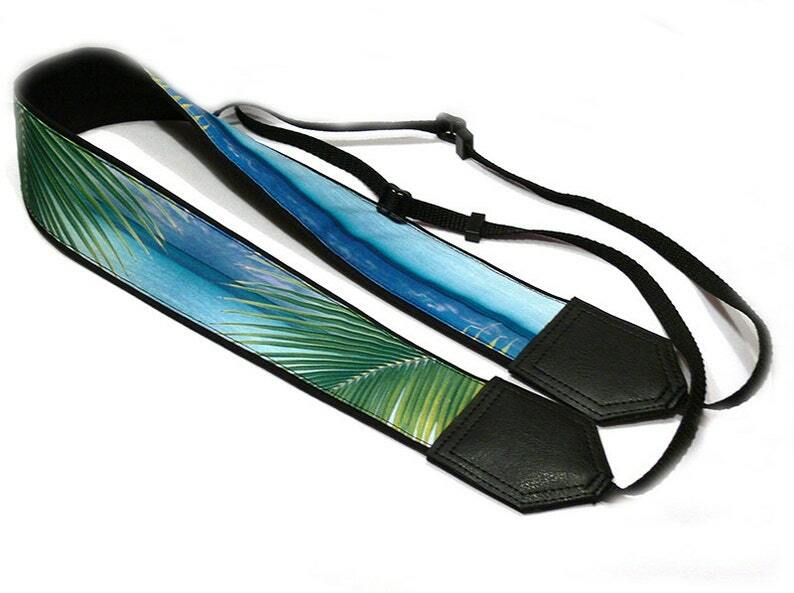 InTePro DSLR / SLR Camera Strap. Sea Camera Strap. Beach camera strap. Camera accessories. Photographer gift. Ship time was about 3 weeks since it was international. This was totally worth the money and wait! She added a palm tree and it wasn't even an option, I request it and wallah it was done. Super soft and it's long enough for a crossbody! Well made and awesome customer service. Thanks!! DSLR camera strap with blue world map design and purple back and ends. Comfortable and safe strap - Best gift for travelers. InTePro Deer Camera Strap. DSLR / SLR Camera Strap. Camera accessories. Photographer gift. X-mas strap.